This book Nepal-China: All-weather Friends penned by Mr. Gaurav Bhattarai narrates the history of Nepal-China relations from ancient times t the present-day. This book stands as an evidence to the fact that Nepal-China bilateral relations have been peaceful, friendly, welcoming, diplomatic and concurrently marked by mutual support, friendliness, and understanding. The research-based book appropriately mentions that history of Nepal- China relations can be traced back to the 5th century when saints and monks betrothed themselves in wondering far and wide in the quest for knowledge and wisdom. The book is also a testimony to the fact that the marriage of princess Bhrikuti to the then Tibetan King, Song Sang Gampo, in the 7th century and construction of White Pagoda in Beijing under the leadership of Nepalese architect Araniko further improved and enhanced historical relations between Nepal and China. Abiding by the ideals of the Five Principles of Peaceful Co-existence, the formal diplomatic relations between the two countries were constituted in August of 1955. Now, Nepal has Consulate General's Offices in Hong Kong and Lhasa and an honorary consul in Shanghai. 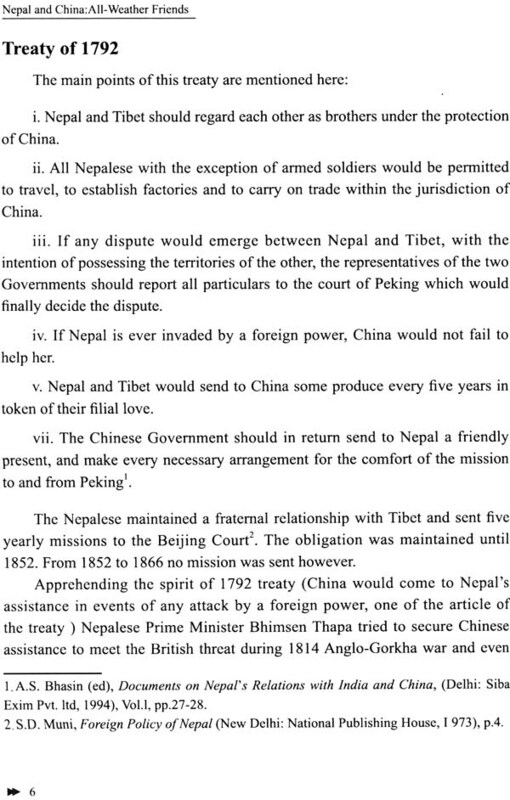 Besides upholding "One China" policy, Nepal is committed to not permiting Nepalese territory to be used against China. There is no dispute on a long border of about 1,414 km shared by two countries. Under the Bilateral Agreement of Economic and Technical Cooperation signed between the two countries, China has been providing assistance to the Government of Nepal. As an unswerving partner in Nepal's development, China has always been supportive in Nepal's development endeavor particularly in the areas of infrastructure. 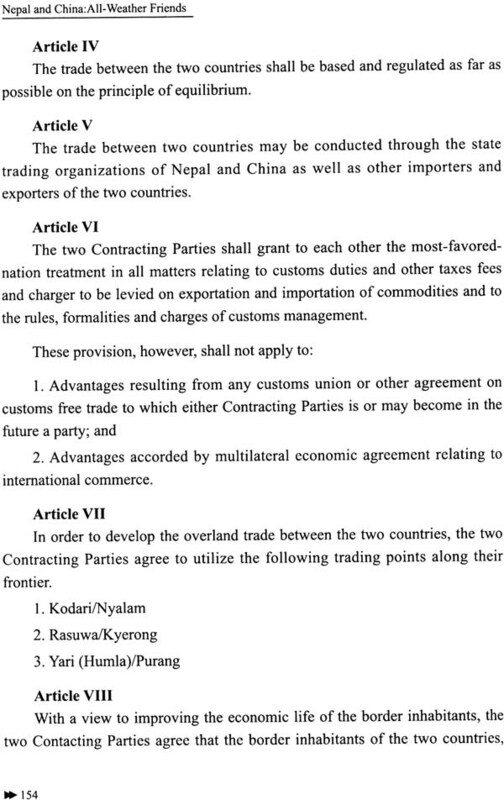 The Year 2012 itself was declared as 'Nepal-China Year of Friendly Exchanges'. China has been providing scholarships to Nepalese students while Nepal has also been providing scholarships to Chinese nationals to learn Nepali language. Similarly, China is a top investor in Nepal. To promote tourism along with investment, both of the countries have agreed to visa free regime for the bearers of diplomatic and official passports from each other's country. This book hits the market at the appropriate time since this year marks the sixty years of diplomatic togetherness of China and Nepal. 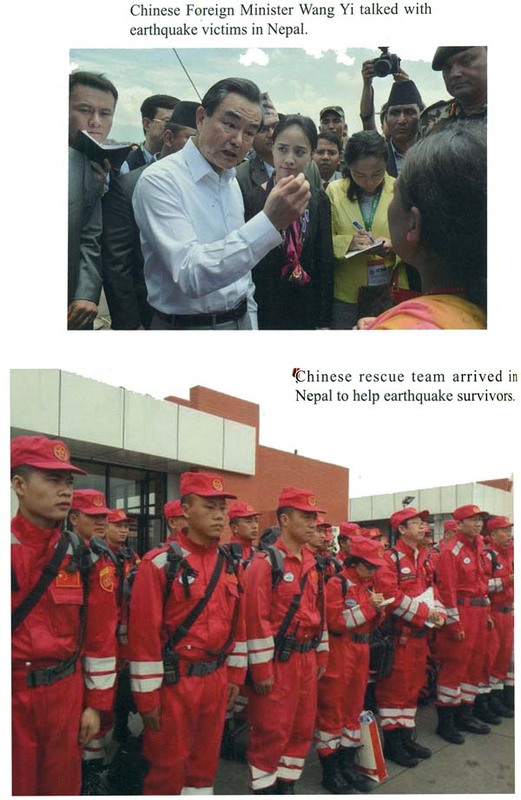 Besides, the book has also commended China's efforts to support post-disaster management in Nepal along with China's benevolence to landlocked countries like Nepal when it comes to the geopolitical complexities with the South. Of late, Nepal has also been one of the signatory states for the China-led Asian Infrastructure Investment Bank. The book also delves on the Duties of the Rising Economy which is China, toward the Small State like Nepal. The duties can be argued, as the book states, at the cultural, economic, developmental and educational level. The book suitably affirms that Nepal and China have enjoyed an all-weather friendship historically. Indisputably, interacting with big neighbours by a small nation is of course a "herculean task". Nepal as a small state and China as the big neighbour, the relation is however marked by decorum of friendliness, generosity, and cordiality, notwithstanding the geo-political sensitivitie, which sometimes generates tensions with South. China has always paid heed to the social and economic development of Nepal through investment, grants and infrastructure building. The year 2015 marks the 60 years of diplomatic togetherness between Nepal and China. 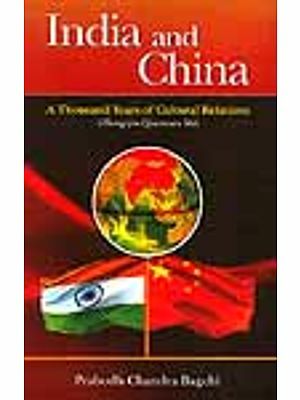 Responsibility that China as a rising economy has performed for the development of small state like Nepal is appreciable, and of course an area of research which is exemplified by this book. This book appears as the result of such an insight and initiative. 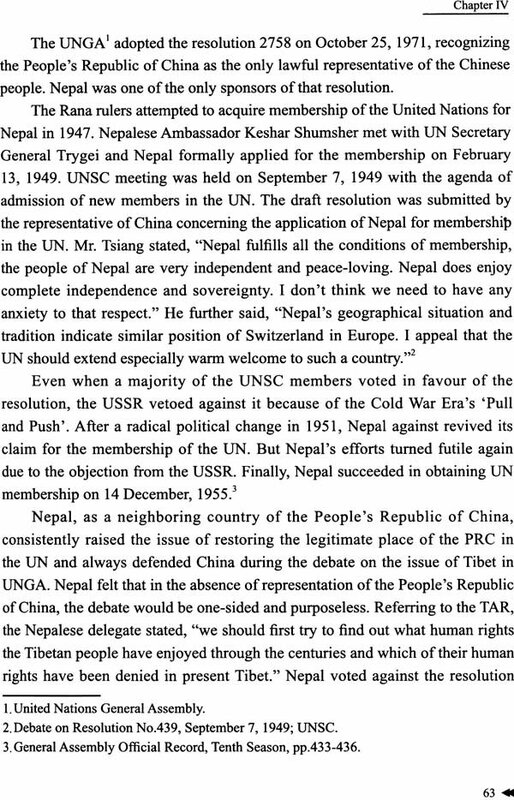 Henry Kissinger in his book World Order has briefly mentioned about the historical role of geopolitics in Nepal's relation with two immediate neighbours - China to the North and India to the South. 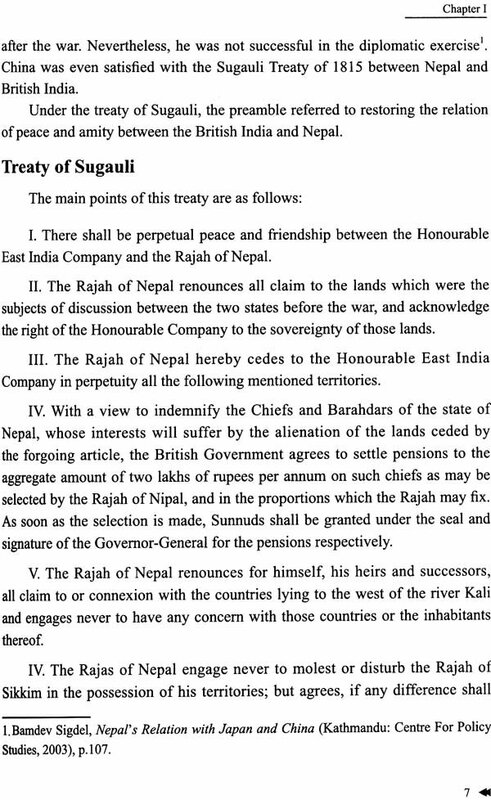 Kissinger says, ''Nepal skilfully balanced its diplomatic posture between the ruling dynasties in China and those in India-offering letters and gifts that were interpreted as tribute in China but recorded as evidence of equal exchanges in Nepal, then holding out a special tie with China as a guarantee of Nepal's independence vis-a-vis India" (179). Undoubtedly, owing to geographical proximity, easy access and contacts, Nepal has more interactions with the South than the North. Still, Nepal has close relation and affinity with North, and multi-faced relations with China since ancient times stand as testimony to this fact. Generally, interacting with big neighbours by a small nation is a “herculean task”, Although China is a large country and Nepal is a small country, the relation between them is however marked by decorum of friendliness, generosity, and cordiality, notwithstanding the geo-political sensitivities. China has always paid heed to the social and economic development of Nepal through investment, grants and infrastructure building. To exemplify, China has recently agreed to provide a grant assistance of 800 million yuan (about 128 million U.S. dollars) to the Nepalese government under the Economic and Technical Cooperation between the two countries. During an official visit to Nepal from 25-27 December, 2014, Chinese Foreign Minister Wang Yi announced to increase the grant assistance to 800 million yuan from the erstwhile RMB 150 million. In addition, China has also kindly offered 3 billion yuan (about $483 million) in aid for Nepal's reconstruction after a massive earthquake jolted the Himalayan country on April 25, 2015. 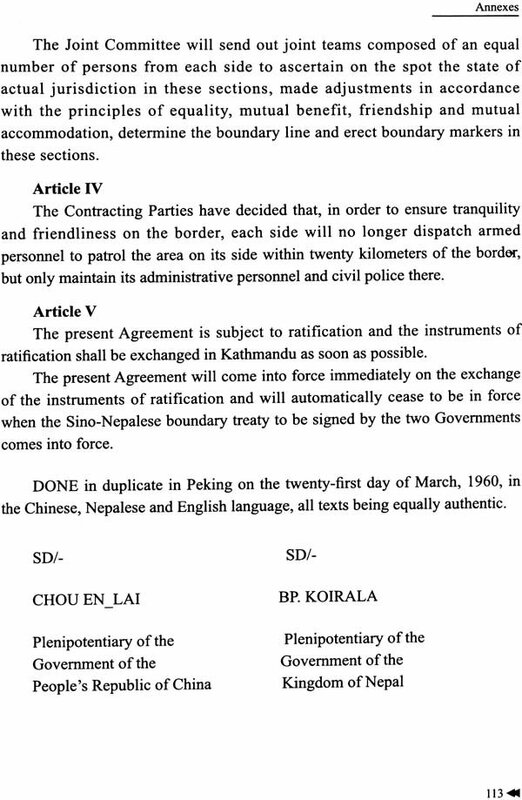 In ternms of the economic relations, local trade had existed between Tibet and Kathmandu before the economic relations were institutionalised by the signing of an Agreement on Trade between People's Republic of China and Nepal on September 20, 1956. 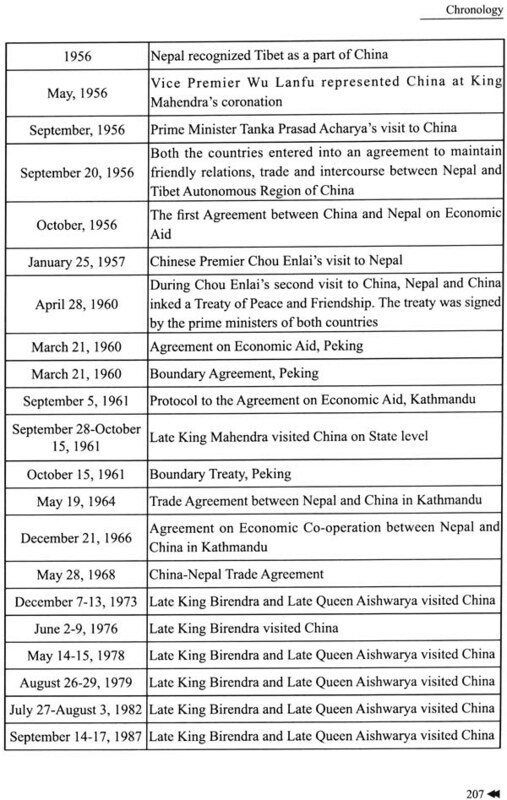 The first "Agreement between China and Nepal on Economic Aid" (20 million Indian Rupees in cash and 40 million rupees for aided projects) was signed in October 1956. Ever since, China has been providing financial and technical assistance to Nepal, which has greatly contributed to Nepal's development, especially in infrastructure building, establishment of industries, human resource development, health, sports, etc. In the early years, Chinese assistance was pledged in terms of projects and no financial involvement therein was mentioned. From mid-90s, the Chinese Government has been pledging grant assistance to Nepalese Government under the Economic and Technical Cooperation programme in order to implement mutually acceptable development projects. According to Asian Development Bank, China plans to enhance trade with Nepal to the level of US $30 billion by 2025. China's effort to extend 253-km Lhasa-Shigatse section of Qinghai- Tibet Railway to Kyirong along the Nepal- Tibet border is a step in this direction. Chinese railway teams have, apparently, completed surveys for extension of this railway to Kathmandu and further to Lumbini, which is just 25 km from Indo-Nepal border. However, this leads to India's apprehension that Chinese workers engaged in railway project in Nepal could have ulterior motives. Despite the geographical hindrance, connectivity has emerged as the new dimension in Nepal-China relations. The Syaphrubesi-Rasuwa Gadhi road is expected to be used to increase the volume of trade between the two countries. China has constructed Kyirong Rasuwa land port and opened it on December 1, 2014. Local markets of Nepal are already flooded with Chinese goods. So much so that even the idols of different Hindu Gods and Goddesses that were once sourced from India are now imported from China. Nepal and China are family across the Himalayas. Although the Himalayan mountains spreading thousands of kilometers at the south of the Qinghai- Tibet plateau or the world's third pole divides China and Nepal on its northern and southern side" in geography, it has not separated these two countries in relationship. 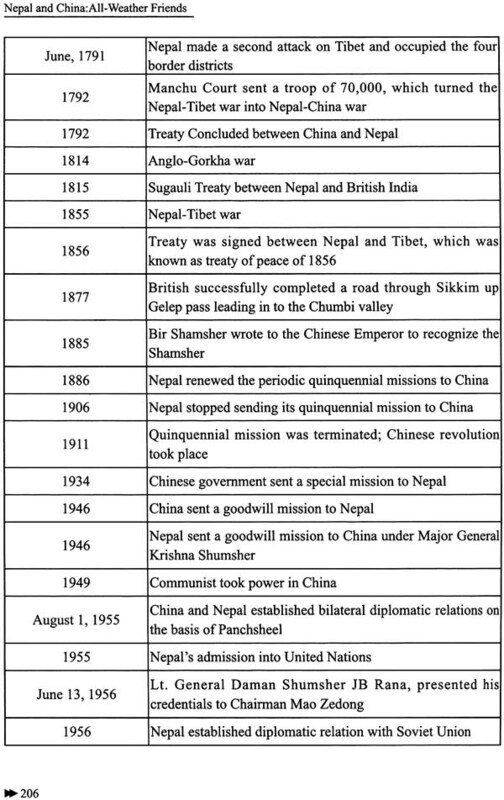 Sixty years of Sino-Nepalese diplomatic ties stand as evidence to the same fact. In the context of Nepal-China relations, Geo-economics is gradually shifting geopolitics. Nepal today is seen as the most significant trade gateway for China's Tibet to open itself to South Asia, which definitely strengthens China's Belt and Road Initiatives Strategy. 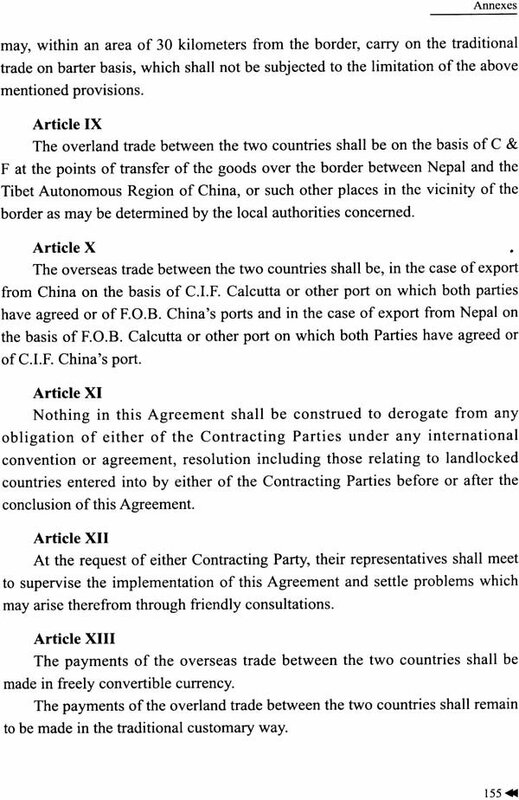 For many years Nepal has been the largest trading partner of China's Tibet. In 2014, the biggest inland trading port between China and Nepal, known as Gyirong Port was opened further and of course cross border trade has been benefited since then to a large extent. The same is true with the dry pot at Tatopani. The dry port spreading over 90 ropanis area is located in Larcha at a distance of six kilometers from the Tatopani customs. It was constructed by Nepal with the financial support of 1.2 billion Rs (about 86.2 million yuan) from the Chinese government to simplify and facilitate trade with China through Tatopani customs. But unfortunately, it fell prey to the massive destruction caused by April 25 Nepal quake, and only 65 percent of construction work was completed before the destruction.